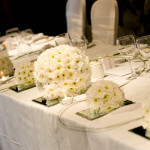 ethereal events offers an exclusive wedding consultancy experience. 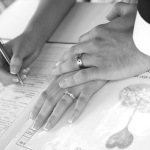 Designed in mind with all the options you may need to achieve the balance of help you require in planning your wedding and turning your dreams in to reality. Exquisite design and precision planning come together at ethereal events to create unique, intimate ceremonies irrespective of the number of guests. Reflecting your personalities whether it be a traditional, contemporary or a specially themed wedding you are looking for, ethereal events use endless creative tools and ideas that will both amaze and impress. Flexibility is so important when you choose to work with someone in planning your wedding. The numerous options available address this and ethereal events will work with you to find a package thats right for you. You may require one small service or you may wish to have ethereal events on hand for elements of the planning, Explore the options in the package & pricing section and see what suits you. 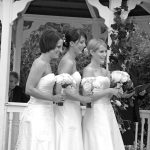 Georgie of ethereal events will be happy to discuss individual requirements. Themes, colours and unique ideas are often at the forefront of your mind when getting into the details of wedding planning. Design and colour comes naturally to some and for others it can be at the heart of all the stress and worry, speculating as to whether you have made the right choices and if your guests will like them! If you fall into the latter category you may wish to benefit from the endless knowledge and ideas of ethereal events to transform your venue into something not of this world. Ethereal events can also advise on personal styling, working with a number of local professionals to achieve the look you envisaged. For a breakdown on how these options can be delivered see the products and packages pages and prepare to plan a wedding not of this world. The service we had from you was perfect and professional from start to finish and we would like to say a big thank you for your part in making our wedding day so special. 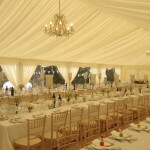 The room at The Orangery looked breathtaking and we had comments from all our guests. We were married at The Orangery, Maidstone, in July 2014. 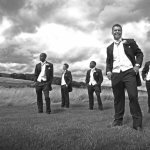 We were a little naive in terms of the number of decisions we'd have to make to organise the perfect wedding day. We also discovered that we had no idea about the amount of choices available for chair covers/sashes available to transform our venue. Having met Georgie, she was able to use her extensive knowledge and experience to steer us through the decisions and help us attain the clean, sophisticated look we were hoping to achieve. Nothing was too much trouble for Georgie and she played a critical part in our day. The moment we saw our reception venue all set up was a very special one. We have no hesitation in recommending Ethereal Events, you will not be disappointed by the service you receive. 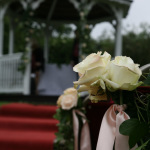 The service we received from Ethereal Events was professional from start to finish. From the first meeting I knew that we were in good hands with Georgie and we received great advice so we didn't go overboard. The chair covers complimented our room design and helped make our day perfect. Everyone complimented us on the little details and I would recommend Ethereal Events to anyone looking for that extra sparkle for their big occasion. You were very pleasant to communicate with and and replied promptly to emails, giving all the information that I needed. Unlike some other suppliers, I didn't have any worries about Ethereal and knew that you would turn up on the day and do a great job, which you did!! So thanks again! We were really happy with the room and the colours, we think it really brought out the "Irish romance" feel that we were trying to achieve. 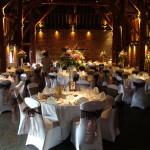 You understood us very well and we were extremely pleased with how everything turned out on the day. Lots of our guests commented on the room and the bridge, which looked stunning in our photographs. Overall, you have been prompt, professional and a pleasure to deal with, from start to finish. Thank-you for all your efforts, we will certainly be recommending you to others. The service that we received from Ethereal was perfect from the start. Georgie kindly came to our home to discuss our needs, which were quite different… the fact that we were after different colors for each of our eight tables did not deter Georgie, but instead she seemed very excited and enthusiastic at our ideas! She was so friendly and helpful, making sure that every colour was perfect for us. If we had any queries, Georgie replied extremely quickly, reassuring us in a friendly, excited and professional manner. We cannot thank you enough Georgie for how amazing you made our day look! 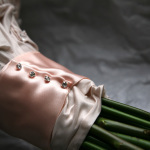 I loved everything about it, from the different coloured sashes to the match napkin ties. Thank you again for your superb service! The communication and service we received from Ethereal under the guidance of Georgie Lilwall was perfect, we could not have wished for better. They understood our requirements and provided an exemplary service without a single complication. The chair covers and sashes Ethereal arranged were amazing and completed the dream look we both wanted for our special day. 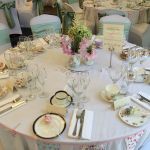 Both Claire and I would not hesitate to recommend Georgie and Ethereal to anyone wanting extra special touches to their special day and we will certainly be passing details to our many friends and family. Thank you again Georgie for helping to make our day so special. We were beyond pleased with your help throughout our wedding planning. Even when the company changed hands we were kept updated thoroughly and always felt you were on top of things. The room on our wedding day was perfect we loved the chair covers and thought they looked different to the usual but still elegant which is what we were hoping for. Thank you so much for all of your help. We met Georgie of Ethereal Events at a wedding fare in Turkey Mill, where our reception was to be held. The range of products and service available was excellent and prices very competitive so we booked straight away. Georgie's communication was always very positive and light hearted which helped ease the stress of planning the wedding! When we saw the reception room on the day it took our breath away, it was beautiful! So much care and attention to detail had gone into the preparation and this was commented on by all of our guests. 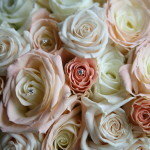 We would highly recommend that you consider Ethereal Events for your wedding/event. I gave Georgie the challenge of helping me organise my wedding in 6 weeks!!! She accepted and ran with it! I could not have done it without her. It was the most perfect day I could ever have asked for and Georgie was an absolute dream to work with. HIGHLY RECOMMENDED! You'd be silly to not use Ethereal Events! Thanks Georgie for our amazing chair covers, sashes and butterflies!! They looked absolutely stunning on the day and really made the room look so beautiful! I know it was quite a challenge to get the butterflies the right colour, however with your dedication, and sending me numerous samples you managed to find the perfect colours to match our purple and silver theme!! Thank you again, would definitely recommend you Georgie, lovely lady with lots of great ideas and advice if you are not sure on what you are looking for! I wanted to tell you how pleased we were with the service we have received from Ethereal and yourself in particular. I was so happy with how the black chair covers looked with the ivory sashes and thought the ceremony chairs looked equally as stunning. 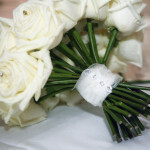 I have already recommended your services to friends who are getting married soon and will keep on recommending. Thank you so much again for helping make our day so very special. I just want to say a big thank you for the service that Ethereal provided on my son's wedding last weekend at The Orangery, Maidstone. 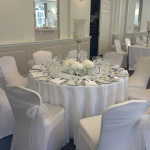 The chair covers and sashes looked beautiful and finished the room off nicely. Thank you for your help and support in choosing the right type and colour. (It was definitely right to have white rather than try to match the teal, what a difficult colour to match up!) 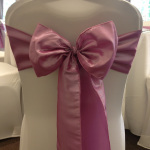 I will be definitely recommending your company to anyone who needs chair covers and sashes. Many thanks again. We would both just like to say thank you for all the time spent on making our wedding day so special. From organising such little things as the kiddies' presents to taking care of my flower arrangements, photographer, makeup, cake… the list goes on and on! We couldn't have done it without you, and you really were a special person to work with at every stage of the wedding preparations. You have become not just a great friend but someone who we know we will always use to plan future events. You never know, we could hear the pitter patter of little feet one day and need a party or christening organised! 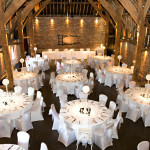 Just a quick note to say thank you for providing the chair covers and sashes at our wedding. 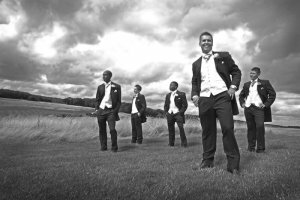 We were really impressed with the service you provided -before, during and after the wedding day and our venue was so impressed that I believe they have asked you to come and exhibit at their wedding fayre this year! The range of different colour and material sashes you have are so gorgeous that I was tempted to change our colour scheme!! We will definitely be recommending you to all our friends and family.